This baked salmon is delicious, moist, and could not be easier to make. It is impressive and tasty enough to serve to guests, yet easy enough to make on a weeknight. For whatever reason, I have a hard time cooking fish. I’ve tried (unsuccessfully) to cook it on the stovetop many times. I have a tendency to want to fiddle with the fish, rather than allowing it to cook enough so that it releases easily from the pan. However, this method is foolproof! Enter: baked salmon. 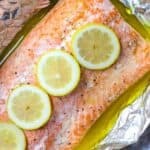 All you have to do is drizzle your salmon with olive oil, season, and wrap it in some foil. Slide it into the oven and find another way to occupy your time for the next 20 minutes or so. Done and done. Oftentimes I will serve this as the main course, with some roasted vegetables on the side. It’s tasty and healthy. I’ve also been known to flake this salmon and use it in these Salmon BLT Tacos, too. It might sound like an odd combination, but trust me, it works. 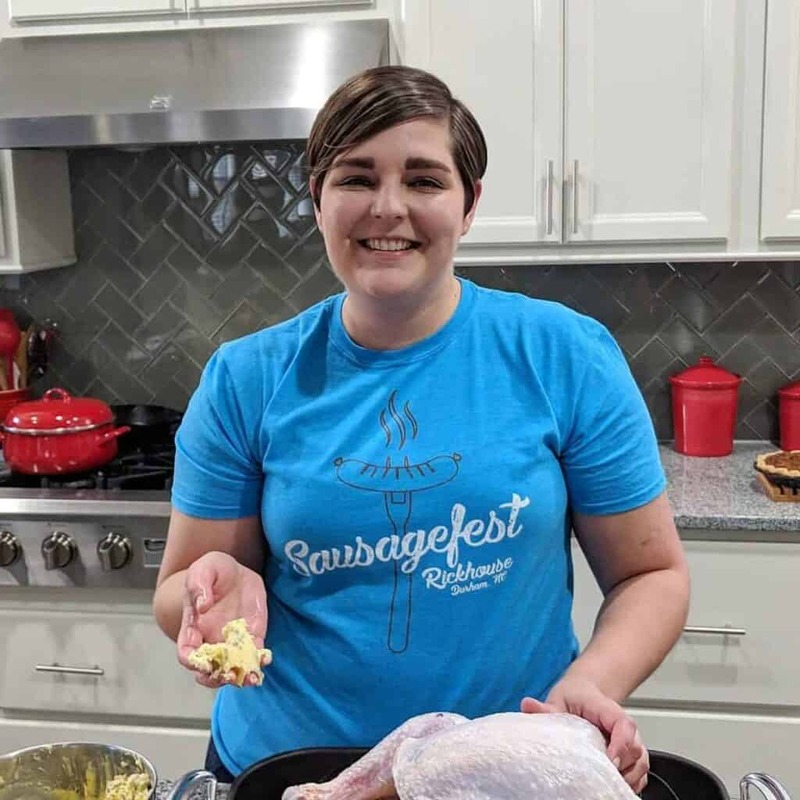 Preheat the oven to 425 degrees F. Line a baking sheet with foil. 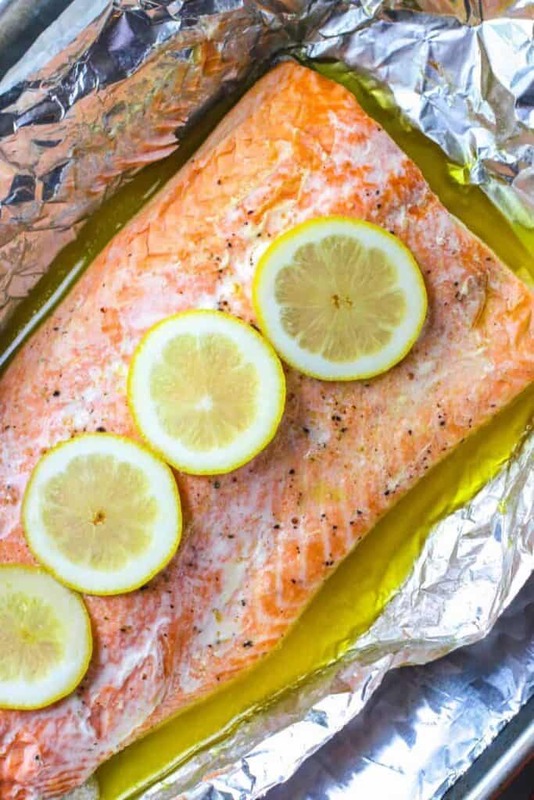 Set another sheet of foil on top that's big enough to fully enclose your salmon fillet. Spray with cooking spray. Set aside. Pat the salmon dry and set it atop the foil that has been sprayed with cooking spray. Drizzle or brush the olive oil onto the salmon. Sprinkle with salt, pepper, and whatever other seasonings you're using. Lay the lemon slices on top in a single layer. 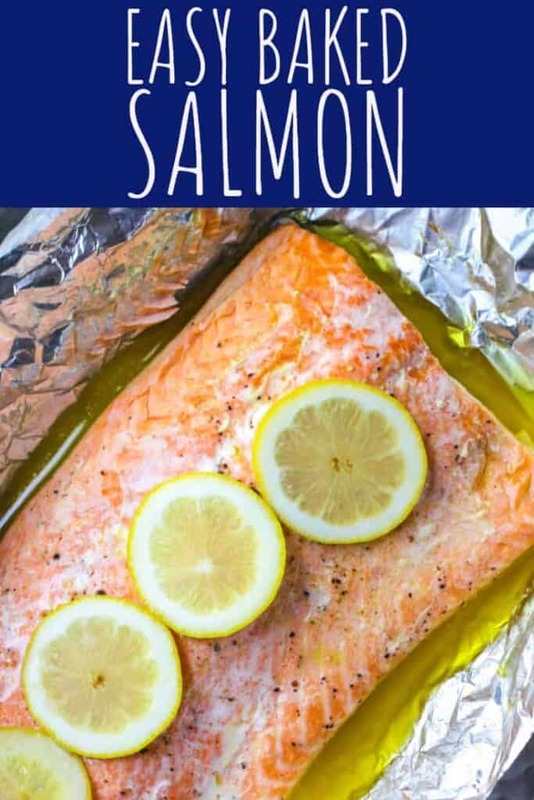 Enclose the salmon in the foil, making a tightly sealed packet. Season your salmon with whatever herbs and spices sound good to you. I often add garlic powder with the salt and pepper. I also like to season it with thinly sliced garlic, soy sauce, and fresh grated ginger.